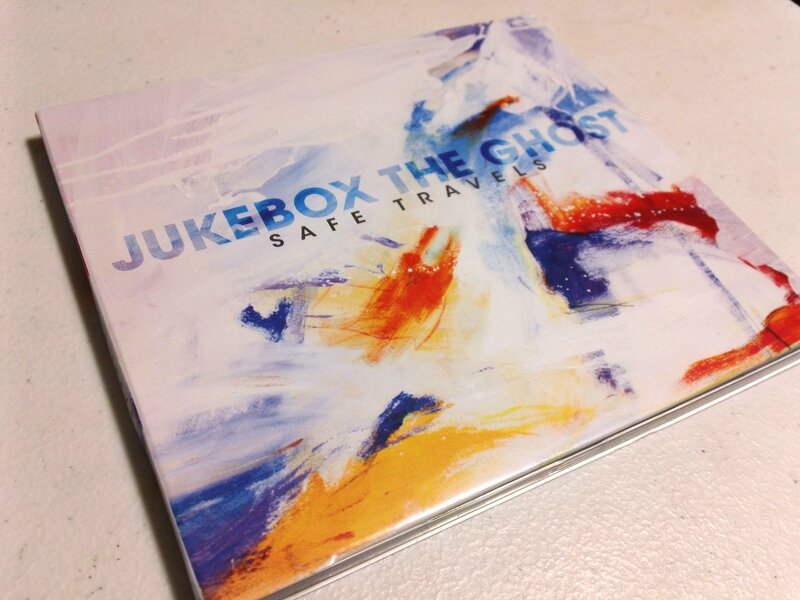 Two days ago Jukebox the Ghost released their new album, “Safe Travels”. I’ve been pumped, not that the internet world could tell. Since I heard that they were recording a new album I’ve been pumped. In fact I’ve been prematurely pumped ever since I bought the second album (on release date). 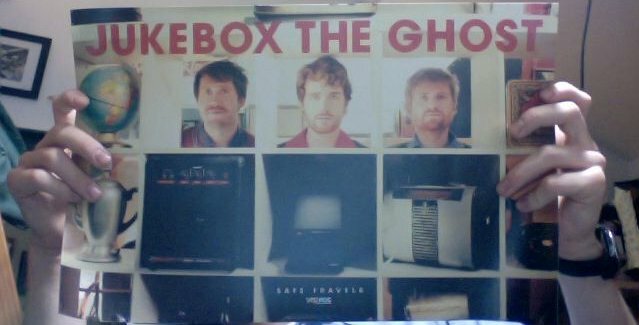 Jukebox the Ghost is amazing and I couldn’t wait to hear the new album. Not that I had to as I got it about a week early when I pre-ordered it. 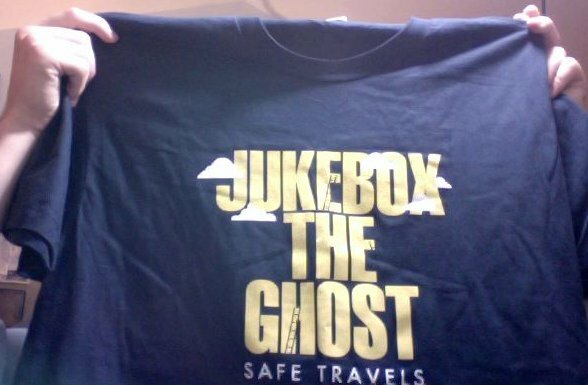 I even got the CD early, and the shirt and poster, which are awesome. There’s nothing else to really say about those things, it’s a good poster and a good shirt. 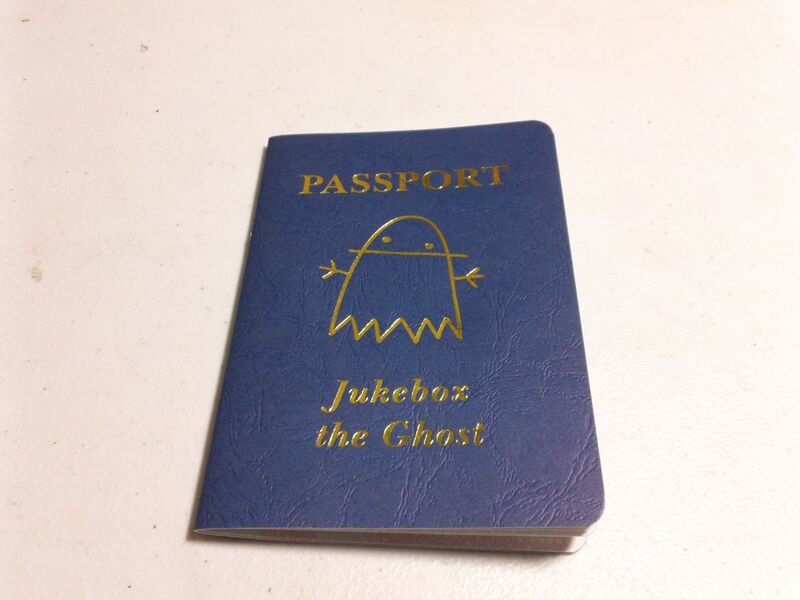 The other thing that came in the pre-order pack is a passport, which is cool, if only a novelty, and of no real use to me as I live so far away from the world that it is unlikely that I’ll see Jukebox the Ghost live very often. Getting to the album itself: man it’s amazing. I’m listening to it right now. I’ve listened to it since I got it. I’d listen more if my CD player was easier to get to. What JTG has lost in the power of overall songs they have more then made up for in making the entire album and “experience”. Getting to my point quick, for me it’s not nearly as good as the earnest, almost childlike Hold It In, or the powerful, haunting Static; at least for the songs individually. But if the entire album was to be judged it is far superior. The problem with earlier JTG, like the first album, is that their were a few beautiful songs and then the rest. They weren’t bad songs, but they didn’t keep up. With the second album they worked on this and made the entire album a more even experience, but it still dropped off in the end in my opinion. They’ve perfected the flow with this new release. No ups and downs, a continuous ride of some of the best and happiest music that one can hear. The records themselves have about the same amount of amazing, with this one maybe getting a bonus just for how it is maintained, it’s just how the amazing is spread. Like if you put cream cheese on a bagel, do you not spread it very well and enjoy a few spots a lot, or spread it around and enjoy the whole thing. I guess it depends on one’s mood. I’ll never pass up the chance to listen to old JTG, unless I have the time to listen to this album all the way through. It’s that all the way through that’s important. JTG makes me so happy when I listen. And having that feeling for a full half hour instead of six or so minutes is great. There is no bass to drag the music down, and the drums, guitar, and piano are amazing. It just makes me so happy to listen to. It’s like Johnny Cash, even the sad songs make me happy. It’s not afraid to be cheesy or bubble-gum-esque. It is almost perfect music. I would never tell you to pass up earlier JTG albums, or songs, but if you like longer, fuller enjoyment of an album, and what I’ve said peaks your interest, try this one out.